Standard model designed for individuals 150 lbs. or under. Firm model for individuals over 150 lbs. 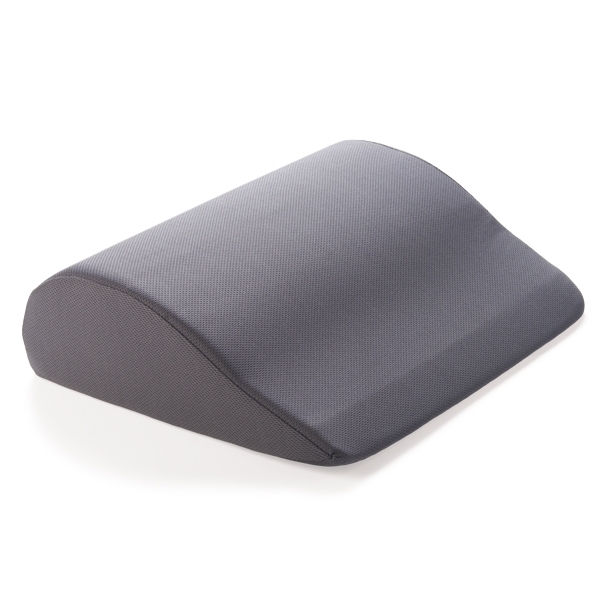 At last, a comfortable seat cushion that keeps the knees below the hips and makes it easy to maintain a healthy lumbar lordosis, helping to relieve low back pain. The highest point of the cushion is placed under the ischial tuberosity instead of at the back of the chair. This placement allows more effective use of a lumbar roll if additional back support is required. Features a moisture-wicking mock-mesh fabric. Choose from standard model designed for individuals under 150lbs. or firm model for individuals over 150lbs. Both versions measure 14" L x 16" W x 4.75" H.